If you want to be a great athlete you must practice. If you want to be a great musician you must practice. If you want to be a great student you must study (practice) and if you want to be a great backcountry chef you must practice. So practice we did. 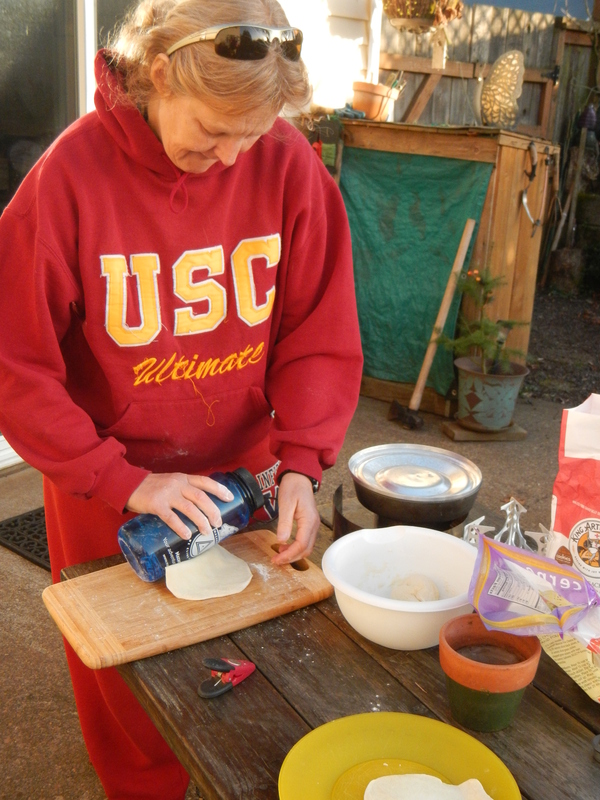 Friday evening we pulled out our camping cook gear and tried out some of our new equipment and recipes in our back yard. Not quite camping but a good test kitchen. Our latest purchase is a GSI Halulite 2.7 L pressure cooker. 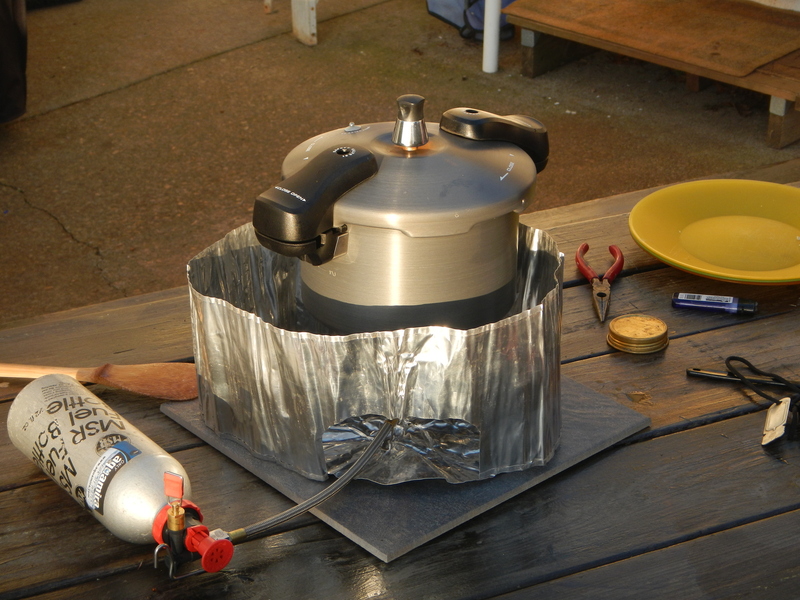 Yep, a backpacking pressure cooker. At 2 lbs, the ultralight folks probably won’t be adding this to their mini packs. However, for bike touring the benefits may outweigh the risks… literally. Go figure that the concept of cooking with pressurized steam was first thought of by a physicist and mathematician. When you heat water (or other liquid) in a pressure cooker, the temperature rises above that of boiling water under atmospheric pressure conditions. Thus, the food in the pressure cooker is bombarded with steam at high temperatures that cooks at a much faster rate. Sauté some sliced onion and brown the cubed pork shoulder in the GSI Halulite pressure cooker with the lid off. 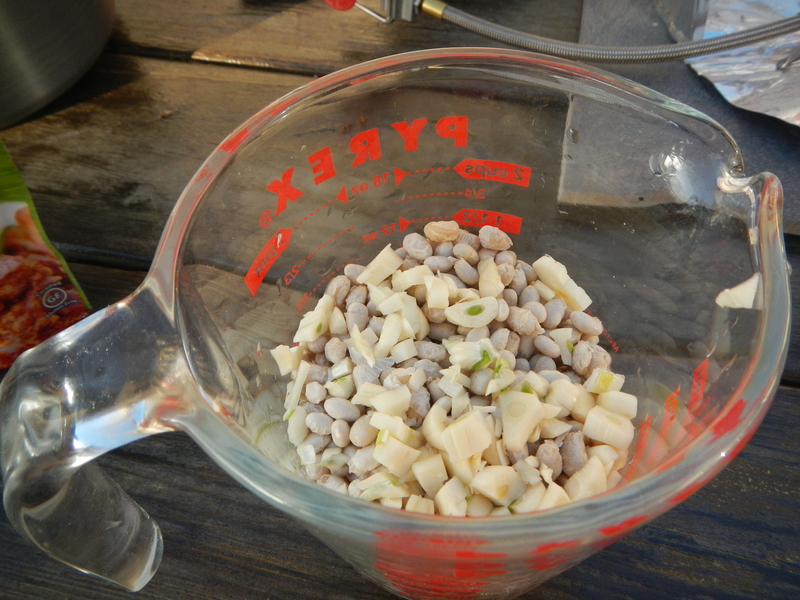 Add one cup of dried white beans (yep, that’s right, un-soaked, dry beans right out of the bag), two cups of water, four cloves of roughly chopped garlic and one cup of chili lime simmer sauce. Secure the lid on the pressure cooker and place on a fully opened MSR whisperLite universal one burner stove. Once the rocker begins to rock, dial down the whisperlite and let the GSI pressure cooker work its magic. While the pressure cooker does its thing, prepare the quesadillas. Combine one cup of all-purpose flour with a pinch of salt, 2 tablespoons of butter, 2 teaspoons of baking powder and about ½ a cup of warm water. Mix everything until you have a nice non-stick dough ball. 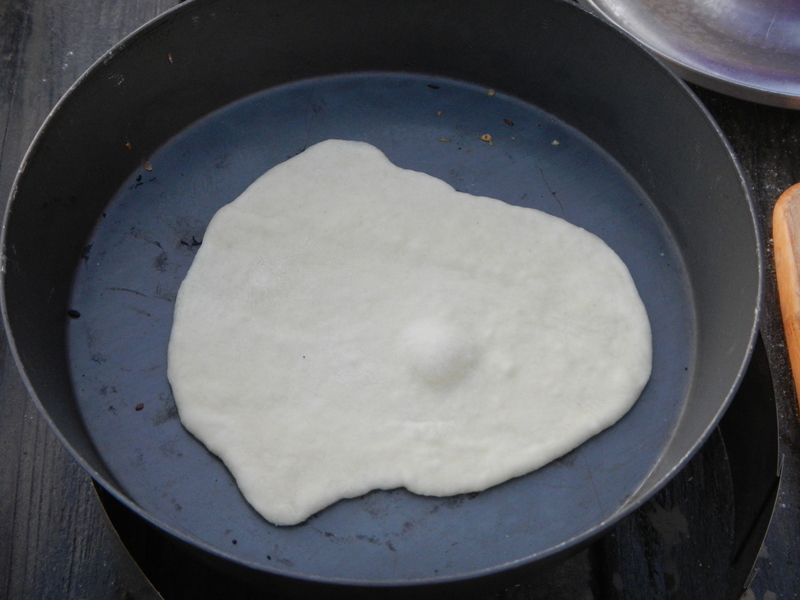 If the dough is too sticky add a small amount of flour, if the dough is too dry add a bit more water. The dough should not stick to your hands. 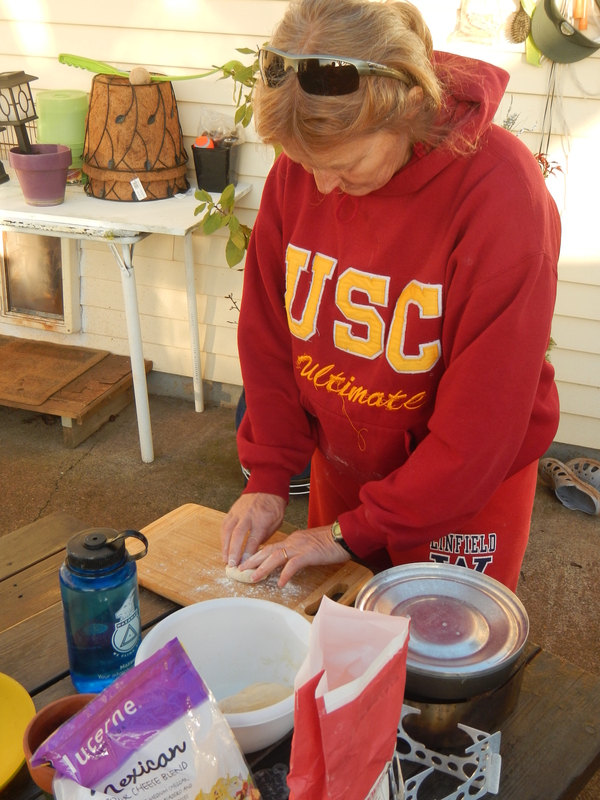 Pull off a small amount of the dough (I divided mine into eight even balls) and form a nice little ball with your hands. Place each flour ball on a lightly floured surface and roll out thin. Remember not to exceed the size of your fry pan! 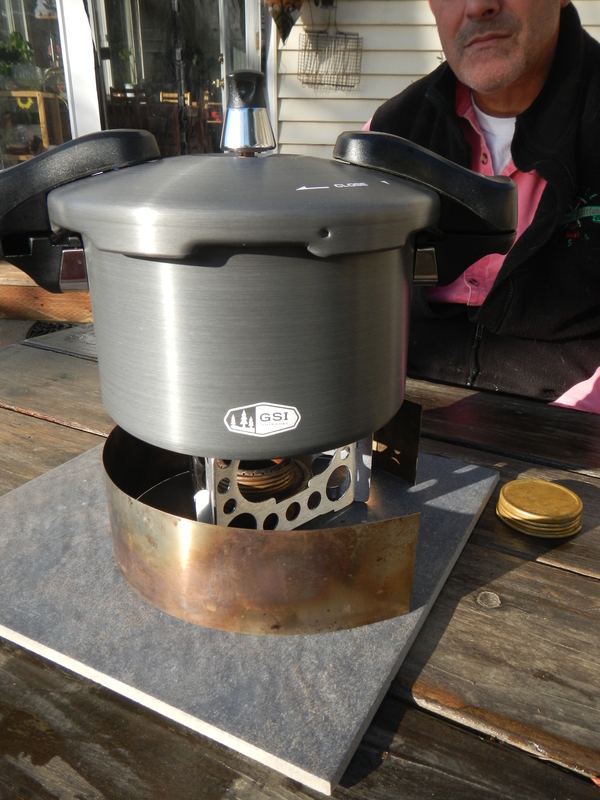 We have a Trangia alcohol stove to supplement our MSR WhisperLite. 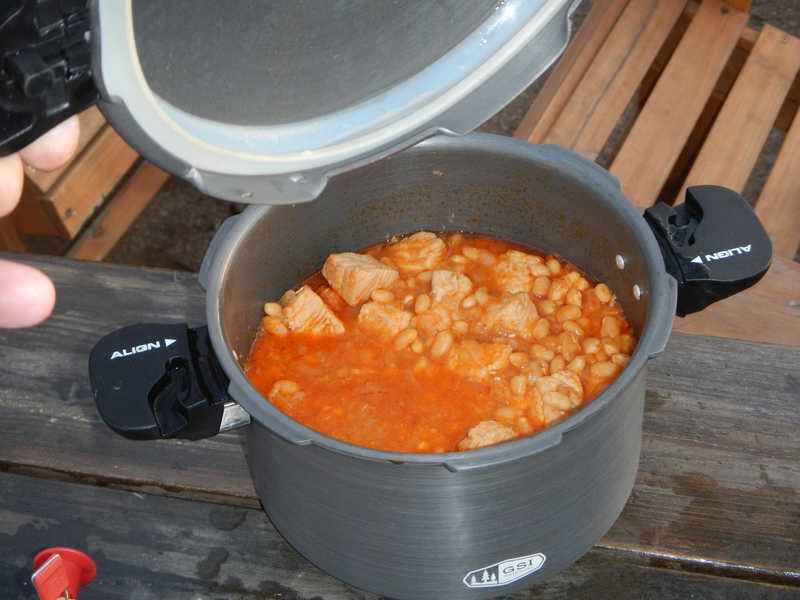 I used this stove to heat the quesadillas so the pork and beans could cook undisturbed. 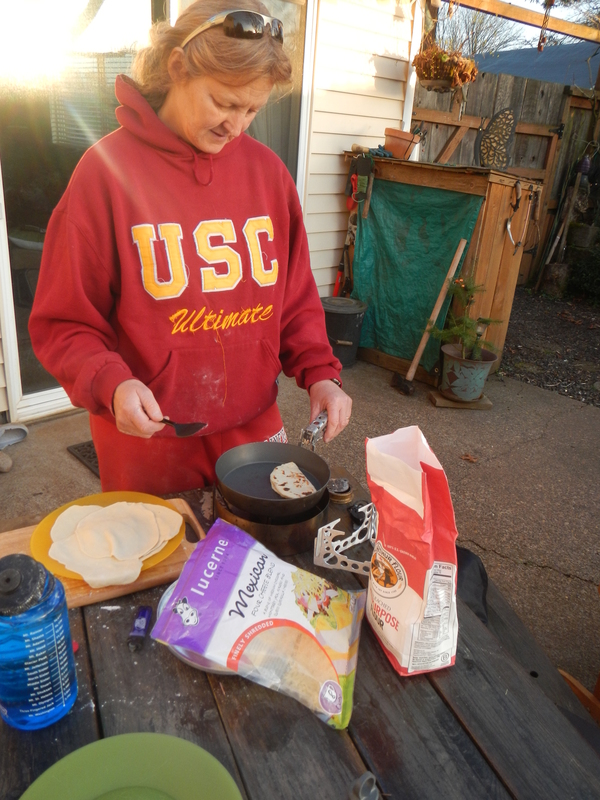 Using our Banks Fry Bake pan, I dry cooked (no oil needed) the handmade tortillas for 1-2 minutes on each side. Sprinkle cheese on one half and fold over. Cook for a minute more. 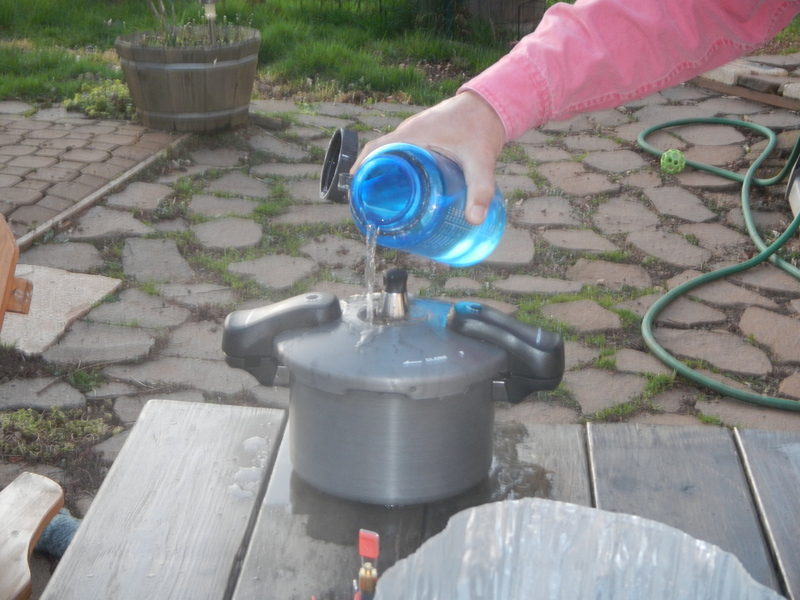 At 18 minutes, we pulled the GSI Halulite pressure cooker off the heat and let it cool for a few minutes. We then enhanced the cooling process by pouring water over the top of the closed pressure cooker. A few minute later the safety pins dropped, the lid was removed and the delicious, perfectly cooked pork and beans was ready to eat. The pork was cooked melt in your mouth perfectly. The beans were mostly cooked, a few were a tad bit raw. 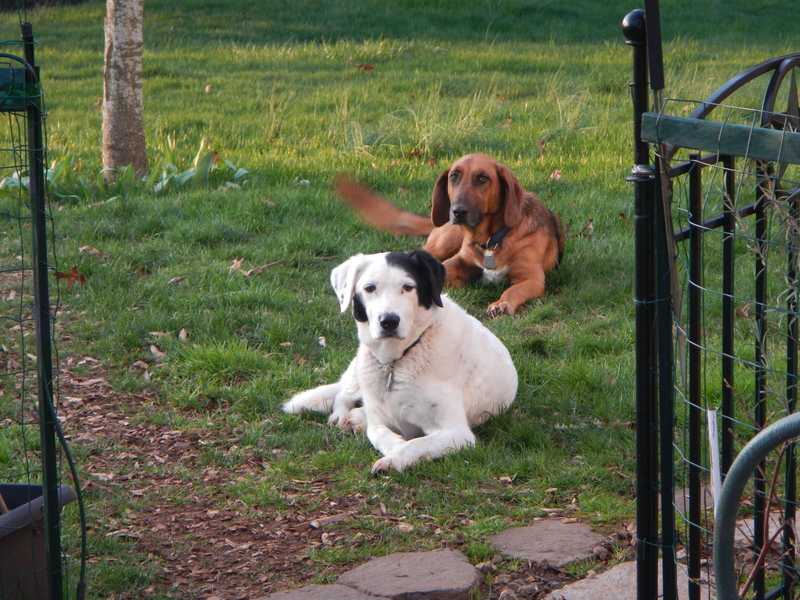 Perhaps a minute longer would have made them perfect. We will be testing our GSI pressure cooker on our next few shake down bike tours. We are super impressed with the way the food was cooked and the simplicity the pressure cooker provided. 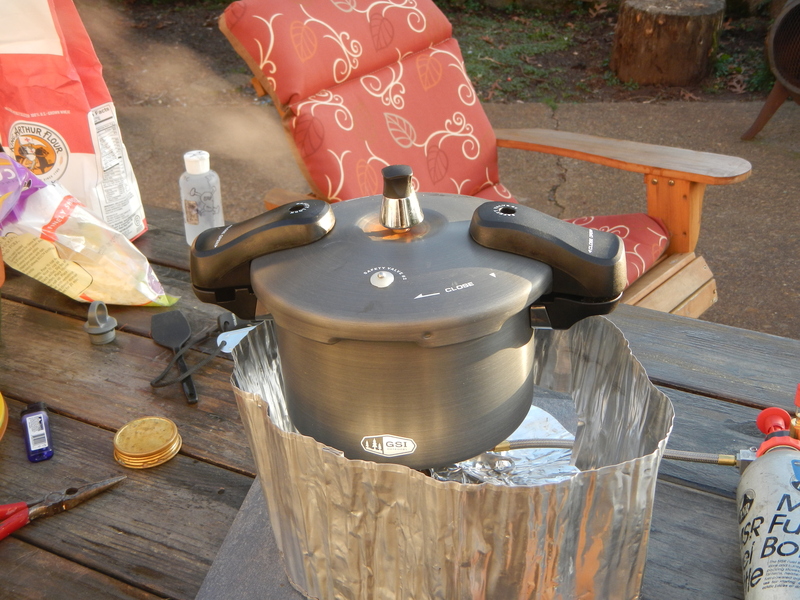 The GSI Pressure Cooker opens up many possibilities for on tour gourmet meals.